Who doesn’t get nervous driving next to a huge 18-wheeler? Getting into an accident with one of those big rigs can cause serious damage and severe injuries. Wait, is the driver changing lanes? Does the driver even see you? Quickly pass them before the worst happens! This can be a typical situation anywhere in America and not just Houston. Surprisingly, passenger vehicles are often the reason accident with 18-wheelers occur. Unfortunately, large trucks can’t perform tasks as quickly on the road as a car can. And when a passenger vehicle does something like quickly pass as a truck tries to switch lanes, that truck driver might not be able to stop the turn in time and a crash occurs. Driving in a “no-zone” – these are areas that are in the truck driver’s blind spots, which is behind and beside the commercial truck. If the driver can’t see you, then he/she can’t avoid an accident. Abruptly changing lanes right in front of the truck – Remember, an 18-wheeler can’t stop as quickly as a car can. Maneuvering to the right of a truck as it makes a right turn – Trucks tend to make a very wide turn and trying to drive around it as it turns can cause a major crash. Misjudging the speed of a truck – Especially at an intersection and you’re trying to turn in front of that 18-wheeler. Unsafe passing – You may want to get past that truck quickly, but by passing on the right or passing with insufficient headway can be a recipe for disaster. Failure to slow down or speed up when a truck begins to change lanes – This is especially true if you’re trying to merge onto a highway. Abandoning your vehicle – If your vehicle becomes disabled, you want to make sure it’s off on the side of the road as far as possible. 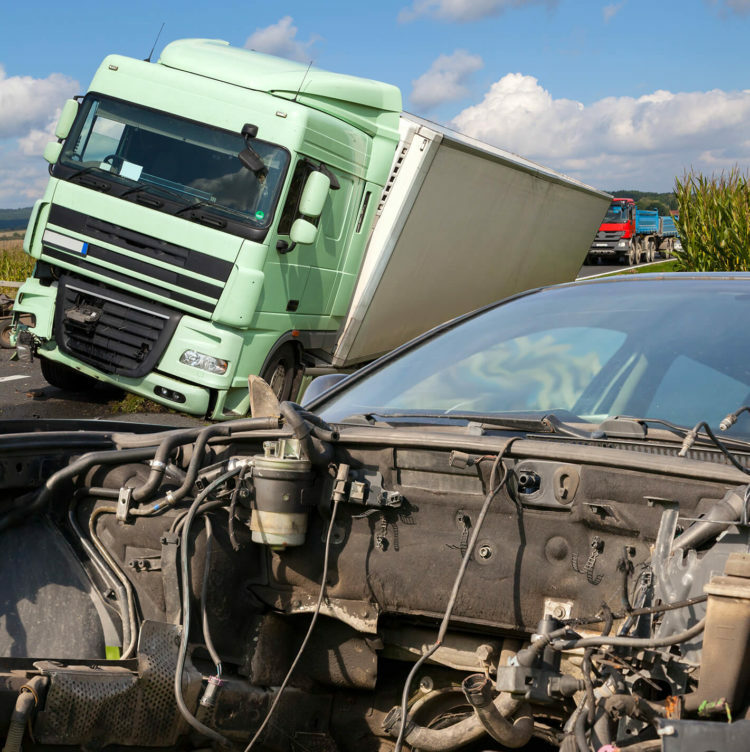 If you are a truck driver and you get into an accident with another truck or car, you’re going to need an experienced truck accident lawyer on your side. Contact the Houston truck lawyers at de Lachica Law Firm, PLLC, for a free consultation.